Facebook’s stranglehold over the traffic pipe has pushed digital publishers into an uneasy alliance with the $350 billion behemoth, and the news business has been caught up in a jittery debate about what, precisely, the company’s intentions are. Will it swallow the news business whole, or does it really just want publishers to put neat things in users’ news feeds? For its part, Facebook – which has recently begun paying publishers including Buzzfeed and the New York Times to post a quota of Facebook Live videos every week – bills its relationship with the media as a mutually beneficial landlord-tenant partnership. But if you really want to know what Facebook thinks of journalists and their craft, all you need to do is look at what happened when the company quietly assembled some to work on its secretive “trending news” project. …According to five former members of Facebook’s trending news team – “news curators” as they’re known internally – Zuckerberg & Co. take a downright dim view of the industry and its talent. In interviews with Gizmodo, these former curators described grueling work conditions, humiliating treatment, and a secretive, imperious culture in which they were treated as disposable outsiders. After doing a tour in Facebook’s news trenches, almost all of them came to believe that they were there not to work, but to serve as training modules for Facebook’s algorithm. Launched in January 2014, Facebook’s trending news section occupies some of the most precious real estate in all of the internet, filling the top-right hand corner of the site with a list of topics people are talking about and links out to different news articles about them. The dozen or so journalists paid to run that section are contractors (called curators) who work out of the basement of the company’s New York office. This section [the trending news section] drives a substantial number of monthly views to news outlets. Facebook wouldn’t specify, but anecdotal evidence suggests that being featured in the trending widget boosts clicks to a story by many thousands. The trending news section is responsible for dictating many of the stories the average person reads when they’re using Facebook. But nobody really knows much about how it works – and the company isn’t telling. The trending news section is run by people in their 20s and early 30s, most of whom graduated from Ivy League and private East Coast schools like Columbia University and NYU. They’ve previously worked at [liberal media] outlets like the New York Daily News, Bloomberg, MSNBC, and the Guardian. Some former curators have left Facebook for jobs at organizations including the New Yorker, Mashable, and Sky Sports. Posted at Gizmodo on May 4, 2016. Reprinted here May 5, 2016 for educational purposes only. b) When was Facebook’s trending news section launched? 2. a) What is Facebook’s trending news section? b) Who runs it? Be specific. 4. 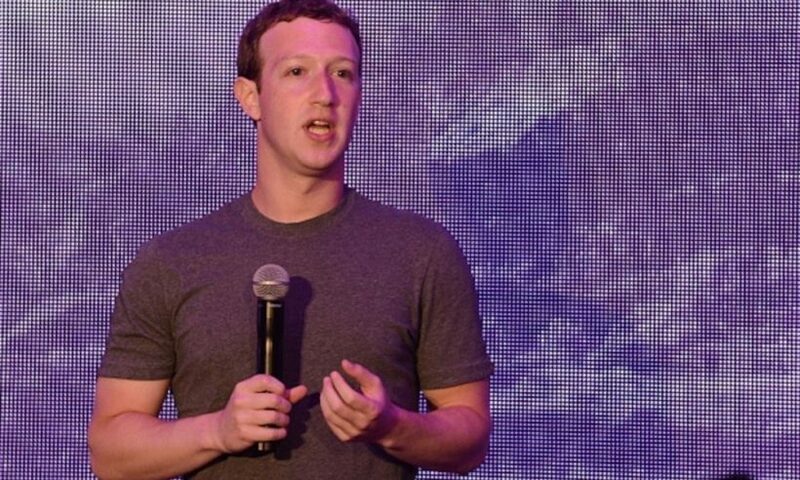 What is Mark Zuckerberg’s goal for Facebook’s Instant Articles? 5. a) What did managers tell contractors (curators) not to do? b) Why did one news curator think the managers made this request? 6. Re-read para. 16. What do you think of this hypothesis? Explain your answer. 7. From the last paragraph: “The data Facebook is gleaning from upwards of 1 billion users clicking through the trending news module could have a significant impact on the future of news – what we read, how, and from which sources.” Do you think this is possible? Explain your answer. CHALLENGE: Read this week’s commentary “Facebook Employees Asked Zuckerberg If They Should Try to Stop Trump” and answer the questions.